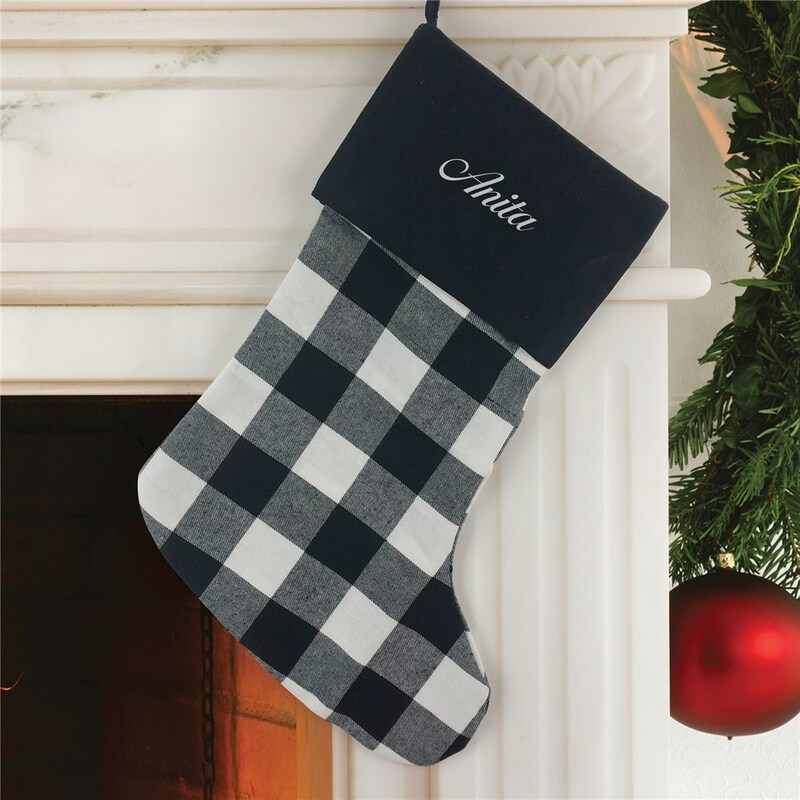 Decorate your fireplace mantle with our festive Personalized Buffalo Check Christmas Stocking. 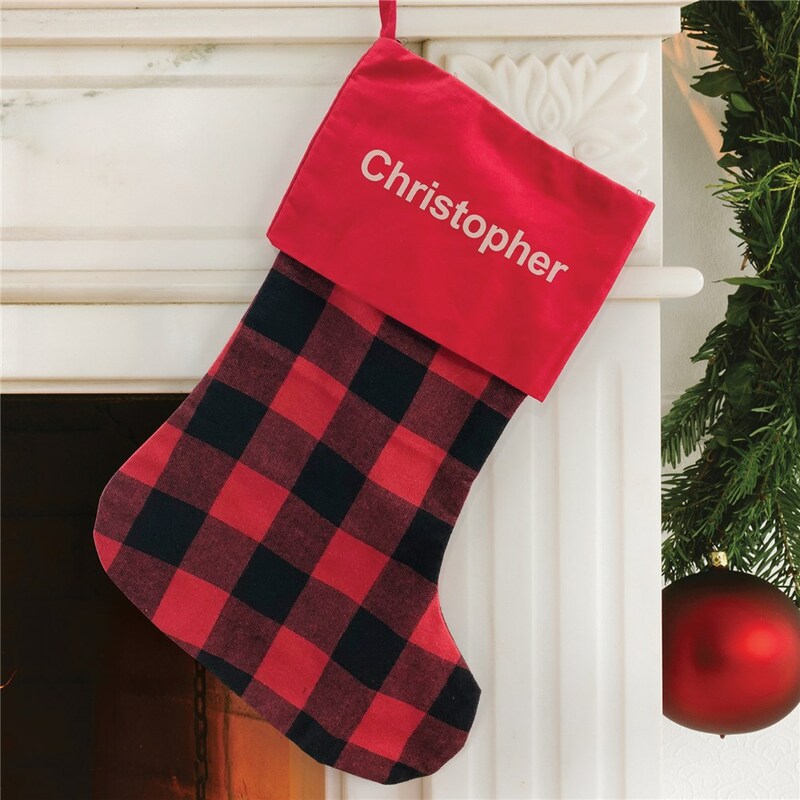 Customize this buffalo plaid stocking with your choice of a black or red stocking, thread color, block or script embroidered font, and any name. Makes a great stocking for the whole family! Cute stocking! 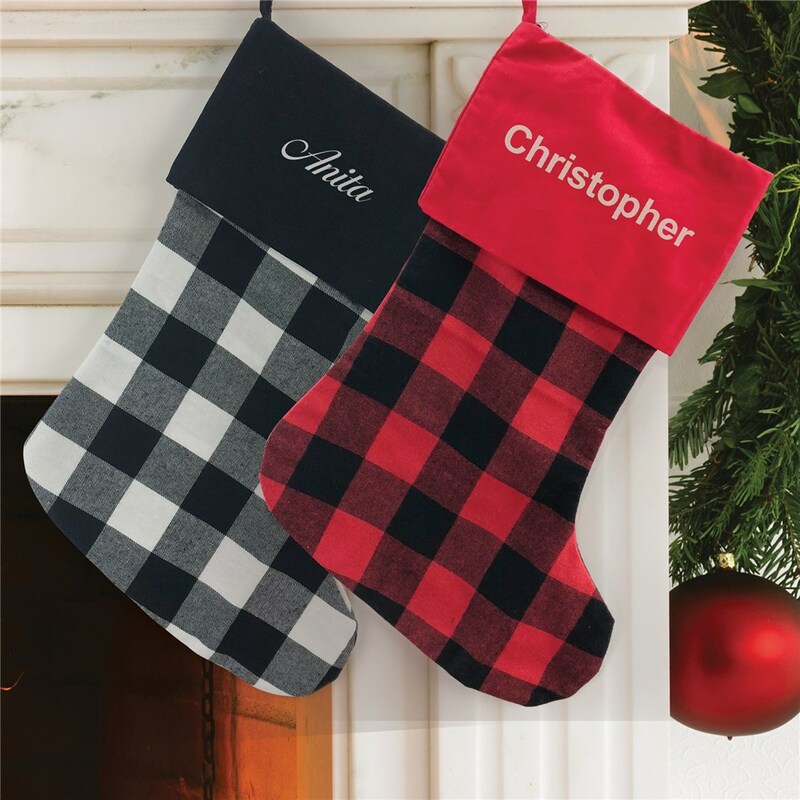 I ordered the red stocking with black personalization. It looks great and is well constructed. Additional Details This super cute style looks great with our new Buffalo Plaid Christmas decor collection! And check out other Christmas stockings, as well.